The SS 50 is the first Super Soaker ever. It is very primitive in both technology and styling, and is extremely fragile, especially the pump area. The nozzle is tiny, and any modern blaster can out-perform it. The SS 50 is a great collectors item though. It is a rare find today, but many people would say "who cares" or "good!". Overall, this is the blaster of collectors, and far from being the blaster of armies today. The blaster my friend has is broken, so stats are impossible to record of his. 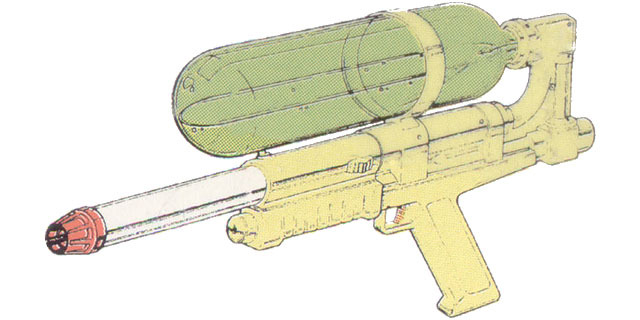 6 European Equal Yellow body; light green reservoir; wire-like trigger; marked "Super Soaker 100" and "Ideal."